Netmath, the favourite online math learning resource of students and teachers, is offering a review camp that is free and open to everyone to help with end-of-year recap. 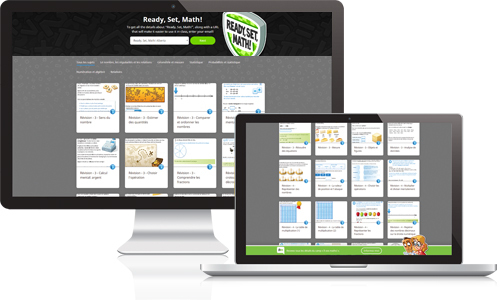 Whether or not you are a Netmath subscriber, you will be able to access the “Ready, Set, Math!” camp that gathers 500 math exercises carefully selected by our team for classes at the primary and secondary classes. There are at least 6 activities per grade (including nearly 60 exercises) made available to you for a complete review in class or at home. To take advantage of all the features offered by Netmath, including detailed reports that allow you to track student progress, we invite you to register for a subscription.